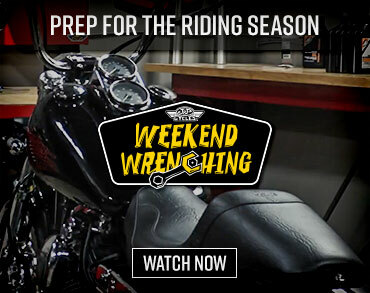 See the Iron 883 in action against two of its primary competitors in our 2013 Sportster Iron 883 Comparison video. As soon as we saw the Bolt we knew it had to happen. There’s no disguising what bike Star Motorcycles had in its sights when the 2014 Bolt was released. And with good reason. The Sportster has been a best-selling model for Harley-Davidson for ages and has made it into the production line yearly since 1957. Currently Harley offers five variations, as one of the bike’s roles is as a gateway model to what The Motor Company hopes will be buyers investing in bigger and better Harleys somewhere down the road. Can’t blame Star for wanting to tap into that. The two cruisers also bear a striking resemblance, small tanks mounted high on backbones behind drag-style bars slinking back to a small solo seat, the tall pillars of a V-Twin nesting between the rails of dual downtubes. Pitting these two head-to-head was inevitable. They call it the Bolt and its Star Motorcycles newest urban cruiser. See how it stacks up against Harley’s Iron 883 and the Triumph Bonneville in our 2014 Star Bolt Comparison video. But we decided to throw a wild card into the Urban Cruiser mix, the 2013 Triumph Bonneville. 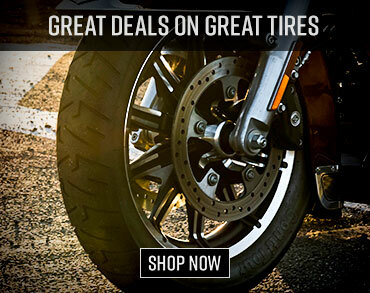 The Bonneville has been dueling with the Sportster on the sales floor for ages. First produced in 1959, the Bonneville has a history almost as tenured and venerable as the Sportster. Admittedly, Triumph’s standard motorcycle can’t quite match the Sportster’s record for continuous production, as there was a 13-year hiatus between the end of the Triumph Engineering Meriden models in 1988 and the Bonneville’s resurrection in 2001 by the Hinckley-based Triumph Motorcycles. And its use of a Parallel Twin as opposed to a V-Twin does make it the outlier in this shootout, but the motorcycle caters to primarily the same demographic (first bike buyers, urban commuters, new riders) and serves many of the same purposes. They share other bonds as well. Sportster conversions are a hot commodity right now. 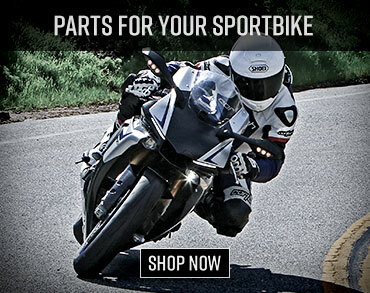 Just look at what Roland Sands is doing with them or check out the Burly Brand Café Racer we recently featured. And doing the ton-up on the Bonnie has been en vogue since the ‘60s and it’s hard to mention the café racer movement without mentioning Triumph. We’ve recognized the same potential with the Bolt and are hoping to give it the café treatment ourselves as a future project bike. The Bonneville has a long and storied history. See how the most current version fares against the competition from Harley and Star in our 2013 Triumph Bonneville Comparison video. our local curvalicious mountain roads to see how well sorted the chassis’ on each were and to find out which won the battle for best fuel economy. We also took them out to Chuckwalla Raceway to see which bike could boogie down the quarter-mile fastest and to log 0-60mph times. After 1651 cumulative miles on all three bikes, the motorcycle with the biggest engine actually got the best gas mileage, the 2014 Star Bolt leading the pack with a 45.72 mpg average. Contrarily, the lowest displaced bike, the 865cc 2013 Triumph Bonneville, logged the lowest average at 42.82 mpg. The 2013 Sportster Iron 883 placed in the middle with a respectable median of 44.26 mpg. The bikes were ridden the same, WFO in some occasions, stoplight-to-stoplight in others, to ensure consistency. A clear champion of acceleration emerged during our road test and the trip to the track. The 2013 Bonneville smoked ‘em on the quarter-mile, tripping the clock at 13.87 seconds at a speed of 97mph. Seeing how the Bonneville is the lightest bike of the bunch with a curb weight of 488 pounds on our scales, this makes sense. But it also has the smallest mill of the three, a testament to the liveliness of Triumph’s Parallel Twin. There was no contest in the 0 -60mph test either, the Bonneville hitting freeway speeds in 5.25 seconds while the other two didn’t come close to breaking the six-second barrier. Which bike comes out on top in our Urban Cruiser Shootout? Read on to find out. The Star Bolt finished second in our acceleration tests, making the quarter-mile dash in 15.02 seconds at a speed of 87mph. The newest Star went from 0-60mph in 6.5 seconds while tipping the scales as the second-heaviest motorcycle as well, weighing in with a curb weight of 543 pounds. With a 59cc advantage over the Sportster, the Bolt was expected to beat the Harley down the strip. The Iron 883 Sportster chugged down the quarter-mile the slowest of the bunch with a time of 15.69 seconds at 85mph. In the 0-60 test, it also placed last at a time of 6.99 seconds. Even though the Sportster feels like the smallest bike of the bunch, it actually is the heaviest, with a curb weight of 564 pounds. It’s hard to blame its performance solely on displacement differences because the smallest engine of the three actually put up the best times. But there’s no denying it takes more effort to get that mass in motion which we believe is a likely culprit in its less-than-stellar showing. A look at the dyno numbers gives clues to why the 2013 Bonneville tore it up on the drag strip. Turns out the Bonneville is the horsepower king of the trio, its peak 63.35 horsepower coming on much later than the other two at 7100 rpm. The difference in peak horsepower between the Bolt and Sportster was surprisingly close, the Bolt’s 47.72 hp @ 5300 rpm not much more than the Iron 883’s 45.17 hp @ 5900 rpm. On the other hand, the Bolt put out the most torque, explaining why it launches so well off the line. The V-Twins topped the chart in this category, the Bolt leading the charge with peak numbers of 53.94 lb-ft coming on the earliest of the bunch at 3400 rpm. The Iron 883 Sportster was good for 48.39 lb-ft of torque at 3900 rpm, while the 2013 Bonneville’s higher revving Parallel Twin pulled up the rear with 46.24 lb-ft coming on at 5600 rpm. Now that we’ve got numbers out of the way, we’ll take a look at how each motorcycle makes that power and scrutinize other factors like handling, suspension, brakes, as well as discussing character and appearance to determine a winner of our 2013 Urban Cruiser Shootout.